Happy end of July! We’ve been working hard to bring you some exciting updates, with more just around the corner. Store credit – customer change their mind? Now, you’ll be able to offer store credit instead of a cash refund when an item is returned. Keep your shoppers coming back and don’t lose out on a sale! If you’re using Xero you’ll need to map your accounts before you enable store credit. Find out more. Cash rounding – cash rounding is here! You can now pick different rounding denominations and rules depending on your country’s currency. Round your cash payments without workarounds or tedious reconciliations. If you’re using Xero you’ll need to map your accounts before you enable cash rounding. Find out more. Multi-outlet time zone support – do you have outlets in multiple time zones? Now, you can add a specific time zone for each outlet to make managing sales and reconciliation even easier! Find out more. PayPal Here refunds (Available in UK, USA, Australia) – when a customer returns an item, you can now refund any eligible PayPal Here payment in Vend, instead of logging into your PayPal account. Open the cash drawer fast – everybody loves shortcuts, so you can now cut corners and open the cash drawer on PC with Ctrl+E, or Mac with Command+E! Easy. Void gift cards – it’s now possible to void gift cards when you need to do so. Just void the sale the gift card was issued in. Vend U – the Vend U team is glad to bring you more exciting updates so you can stay a seasoned Vend pro! 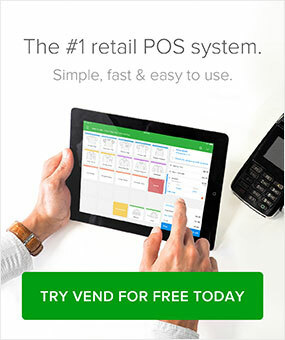 Watch our courses on Vend U today. Setting Up Your Vend Store – we’ve added new content including Quick Variant Setup and Setting Up Outlets and Registers. Setting up and Selling on Register for Mac or PC – we’ve included modules on How to Process Returns and How to Use Store Credit. 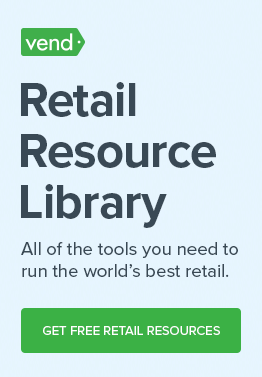 Reporting with Vend – we’ve added in a new Gift Card Reporting module!